David leads Emmanuel at The Villas. David and Anna met at Brighton University in the early noughties and they’ve never looked back. 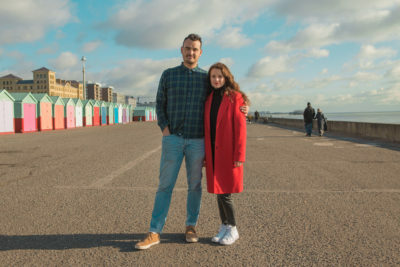 As entranced by the love of the sea as they are Brighton’s food and drink scene (Hove Tandoori is a particular favourite), they love heading to the beach with their three children Esther, Isabella and Barney. David will often be found thinking, talking (and sometimes even shouting) about his love for Arsenal FC. Football heaven? Arsenal winning the league and Spurs getting relegated in the same season.